Never heard of Hubei Turquoise? Hubei Turquoise comes from the Hubei Province in China, northwest of Shanghai. This mine produces turquoise in colors and properties reminiscent of the now closed mines in Nevada, USA. Did you know that some of the finest turquoise ever sold has come from China? 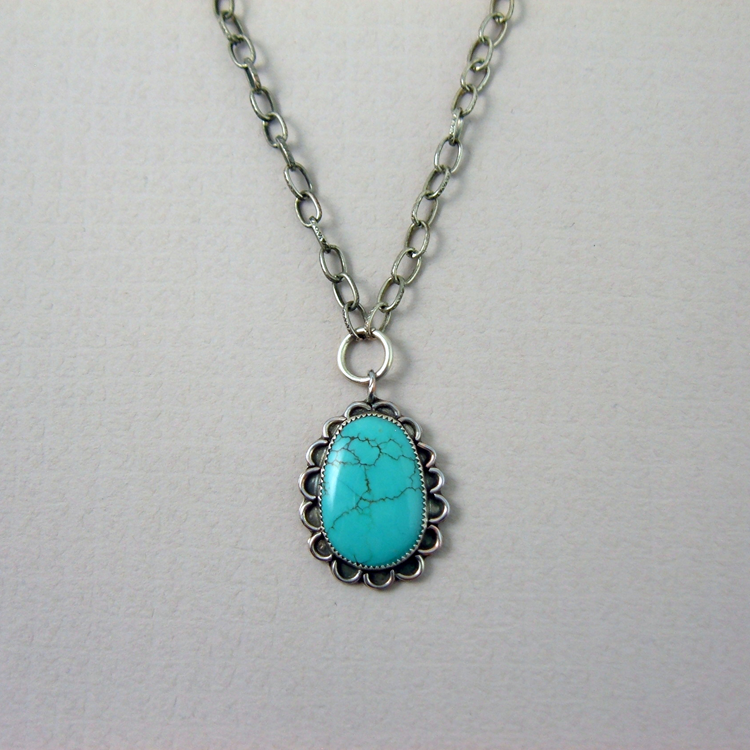 It’s because true natural turquoise has become scarce in America. 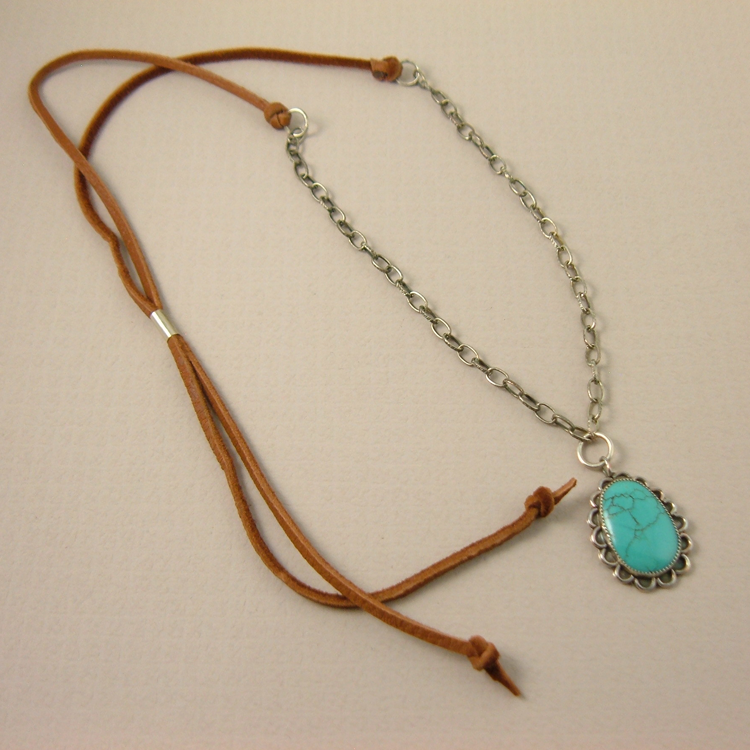 At the same time you must always be careful of purchasing fake turquoise. Most turquoise these days is stabilized turquoise, which in fact makes turquoise stronger and protects the stone from breakage, scratches, and discoloration. Regardless of where turquoises is mined it is produced by this earth in the same manner, the color differences comes within the minerals located in the area. The cabochon alone is 26mm long x 18mm at its widest point. 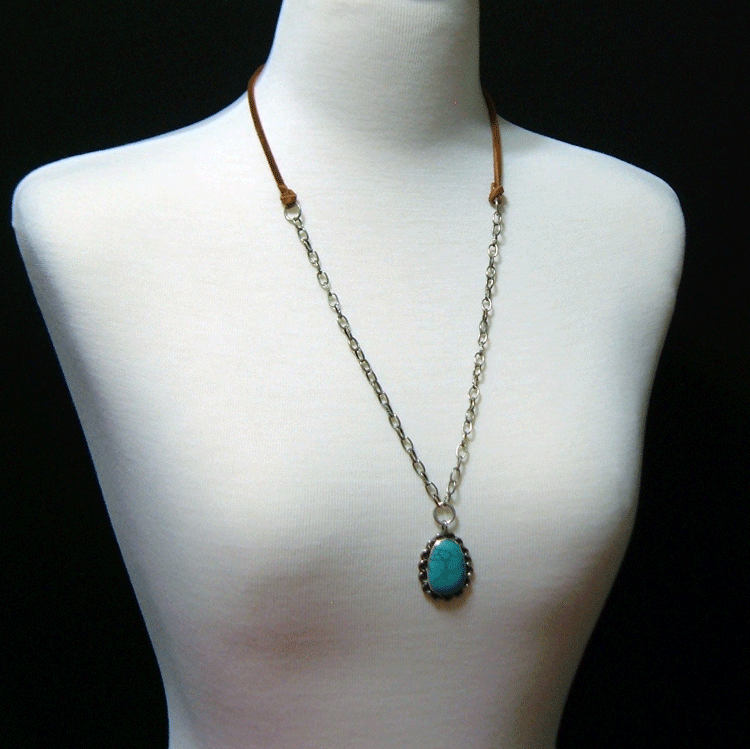 The sterling bezel and SP chain was given a patina for an antique look and sets off the beautiful turquoise color of the stone. 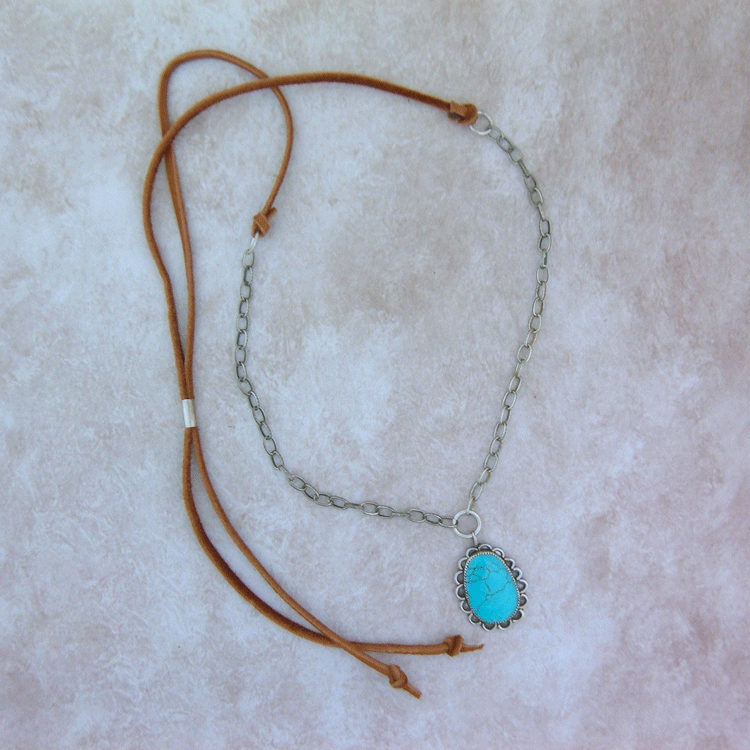 The leather necklace adds just the perfect amount of modern, Southwest or boho for today’s style.